Mellow Monk® offers a carefully curated selection of authentic teas crafted by independent artisans with complete control over the entire tea-making process. Our tea specialists visit the artisans' estates to taste every tea and select the choicest, highest-quality teas among their offerings. In flavor and aroma, all our teas are refreshing yet soothing at the same time. Simple at first, yet revealing a complex flavor profile that makes every sip a journey of discovery. 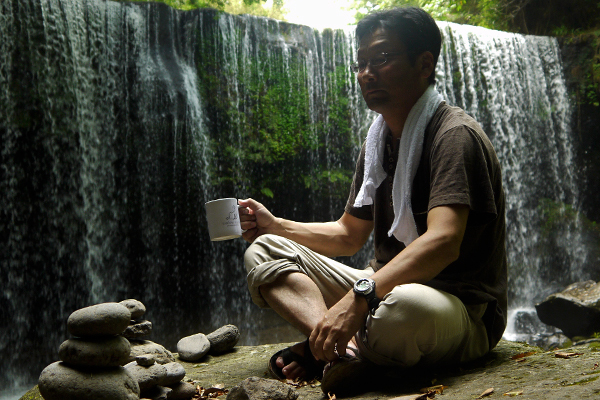 Mellow Monk® green tea is made guricha style. Also known as tamaryokucha ("curly green tea"), this is the most popular kind of green tea in Kumamoto, where our tea artisans are located. Our green tea is grown, harvested, and crafted essentially the same way as conventional sencha, but crucial differences result in curly tea leaves — and a flavor unique to guricha. Our green tea combines the herbaceous “green” flavor of conventional sencha with the citrusy brightness and berrylike sweetness unique to guricha. 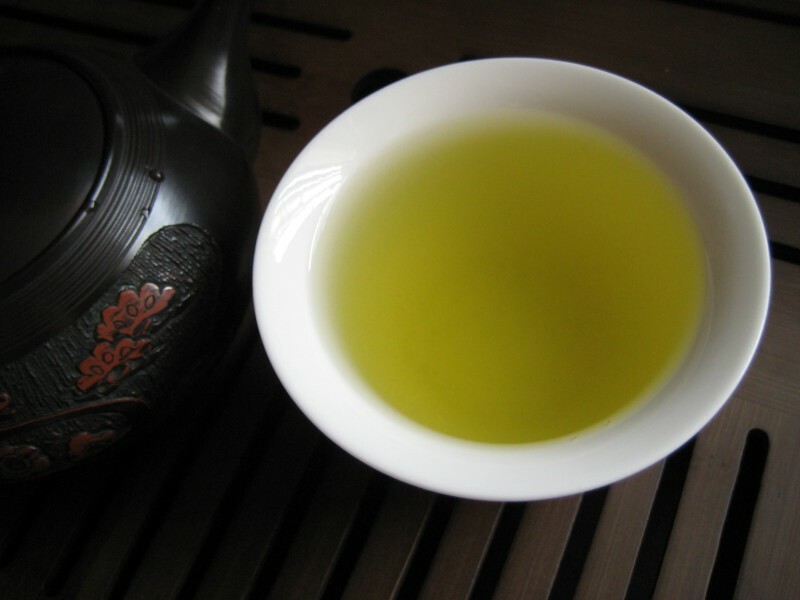 The sweetness, which spreads gently across the palate, is similar to that of gyokuro. Atop this flavor foundation secondary components, such as the hints of melon of Kuma Green 1228 or the overtones of sage of Frosty Garden. In addition, our tea is less astringent than ordinary sencha. Finally, our green tea can also steeped more than once, with each infusion bringing out a subtly different flavor and aroma. Mellow Monk tea is steamed (mushisei), not pan fried. Steaming is thought to preserve more of the disease-fighting antioxidants than frying, and to preserve the tea's natural sweet, herbaceous flavor. 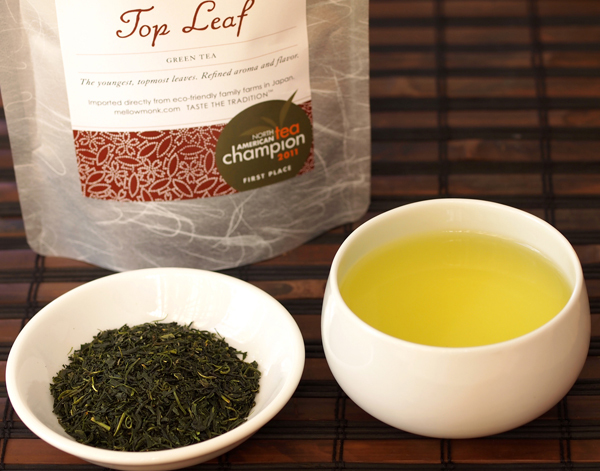 All of our tea is first flush — the very first harvest of leaves collected in the spring. These are the branchtop leaves that have been growing since the fall harvest. First-flush eaves thus avoid the baking heat of the summer sun, growing instead in the milder climate of the late fall, aged and mellowed in the chilly winter air, and then began growing anew in the spring. So what you get is the perfect balance between aged and fresh flavor and aroma. Mellow Monk tea is from the Kumamoto region of Kyushu — a major farming region that produces some of Japan's best tea, rice, and other crops. Just like the soil and climate of California's Napa Valley make for such sought-after wine, the soil and climate of Kumamoto are eminently suited to growing green tea. 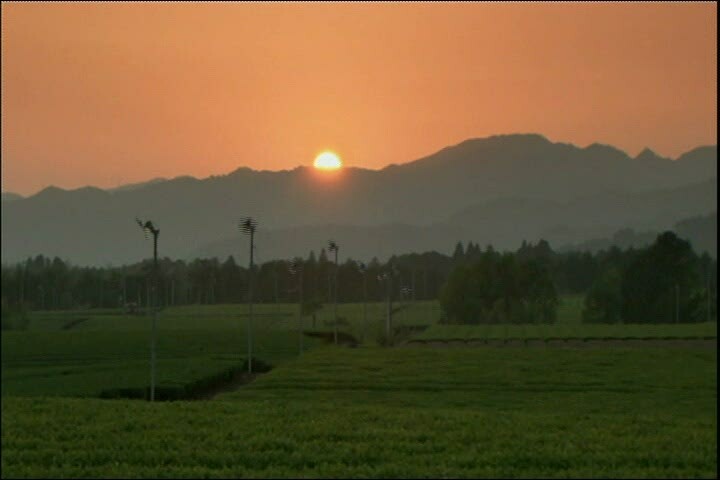 Our tea is sourced directly from independent artisans in Kumamoto. On their family-owned and -operated estates, they craft tea the traditional way, with complete control over the entire tea-making process, from planting and harvest to storage and shipping. These artisans practice jien-jisei (自園自製), meaning they use only leaves from their own estate and craft the tea on site themselves, that is, single-estate tea-making. Mellow Monk's tea specialists inspect every aspect of an artisan's operations to verify, for instance, that they produce true single-estate tea — tea made only from leaves harvested on the artisan's estate. We frequently sample each artisan's tea to assure the highest quality and consistency of flavor. We also visit the orchards to see the plants' health. But more than that, we get to know the artisans and their family, staying in close, frequent contact to make sure we stay in sync and keep our operations operating smoothly for our customers. 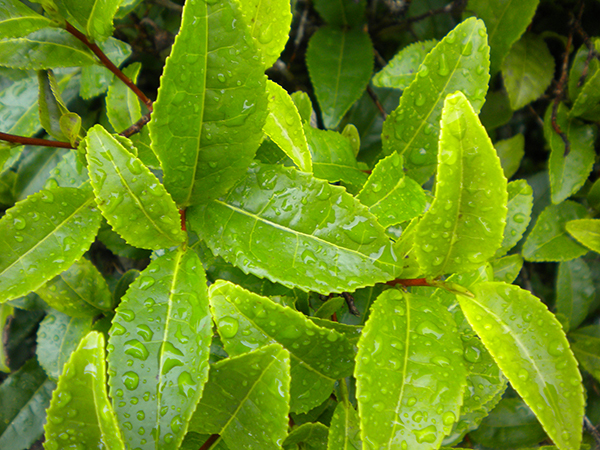 Tea plants are shrubs around three feet tall. Tea leaves are harvested by clipping the uppermost leaves — the newest leaves, which not only taste better but also have more antioxidants than older leaves, simply because they haven't been baking in the sun as long. Each morning during harvest season, our grower–artisans harvest only as much leaf as they can finish crafting into tea that day. And by taking the harvested leaves immediately from the orchard for steaming — thereby minimizing oxidation — the growers lock in the tea's fresh taste, earthy aroma, and rich supply of natural antioxidants.